JSC’s new learning specialist for students with disabilities is looking for people who could use his help. 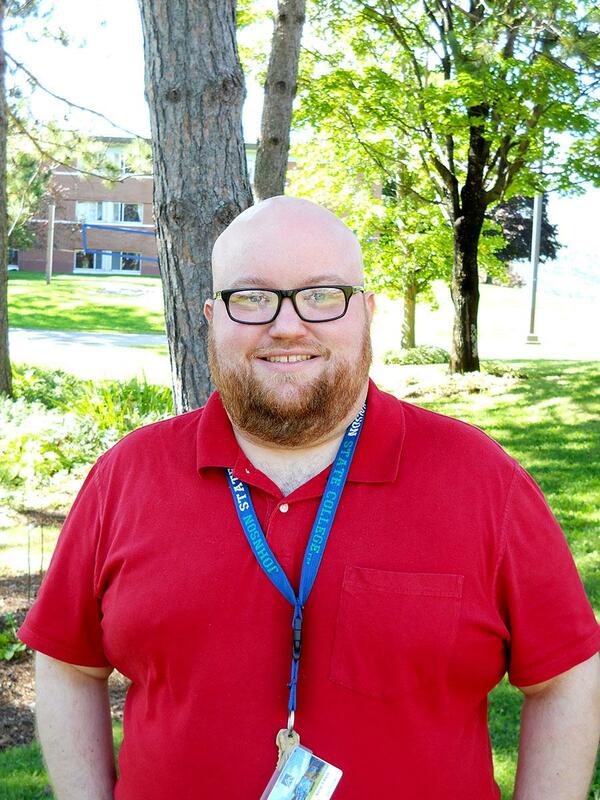 Kevin Fleck is taking over this semester as the learning specialist in JSC’s academic support services. He replaces Richard Simmons, who retired last May. As JSC’s learning specialist, Fleck works with students who have learning and physical disabilities, to help them get reasonable accommodations for classroom activities and their learning in the classroom. “Basically, if a student has a diagnosed learning disability, or they have a need for an interpreter for someone with sign language needs, they would come to me and I would help them get the accommodation organized,” said Fleck. Coming from Johnstown, Penn., Fleck received his undergraduate degree from the University of Pittsburgh at Johnstown, majoring in English literature and English education. Fleck then worked as a computer and English teacher at a small school in Johnstown. Starting at JSC this past July, Fleck got married, went on a honeymoon and then moved to Vermont within two weeks’ time. “It was kind of hectic but I really like the JSC community. Everyone is very welcoming and I’ve already had a lot of good interactions with students, as well as staff and faculty, which goes to show how important student success is to all of us,” said Fleck. Karen Madden, director of JSC’s academic support services, noted that when Fleck’s application showed up, she was delighted. After a Skype interview and an in-person interview with former JSC Academic Dean Dan Regan and JSC President Elaine Collins, they gave Madden the go-ahead to make Fleck an offer. During his spare time, Fleck likes to play guitar, bass guitar, the keyboard and the didgeridoo. He enjoys reading, and he and his wife like to refinish wood furniture. Madden noted that Fleck is doing a great job already, and that he seems to be keeping up and meeting with students and doing well. Fleck says that he is really happy to be here and he hopes to become more familiar with the campus and all of the people that make up JSC.